I was born in Bonn, West Germany, and emigrated to Cape Town, South Africa with my parents in 1965. I went to school at the German School, Cape Town and then studied for six years at the University of Cape Town (psychology and languages, B.A. Honors and teaching, i.e. a Higher Diploma of Education/Post Graduate Secondary school level). 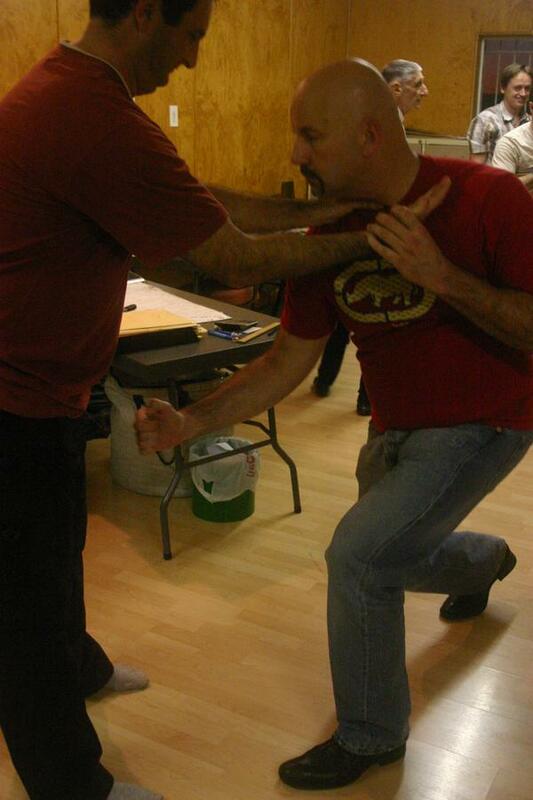 Beginning in my childhood, my life has been defined by my interest in the martial (and healing) arts. At age ten I began studying Judo. Experimented with Jiu Jitsu. Switched to Karate at fourteen. The reason for my interest was simple. At age nine I was beaten up by a street gang. When they had finished punching and kicking me and I lay in the gutter, they took off their belts and hit me with the belt buckles. At age ten I was shot for the first time, point two two caliber bullet to one of my heels, I was running away at the time. So my primary interest has always been combat effectiveness, movement and artistry became important to me, but the ability to survive was what really mattered to me. I worked as bouncer at a variety of clubs close to the waterfront during my student years. I was married in 1986 and divorced in 2002. I have two wonderful children. I represented UCT in Karate (silver medal at the 1981 National Universities championships) and also started studying Tai Chi. My Tai Chi studies really took off in 1982 when I began studying the art with Mr. Fok, Si Yue, in exchange for working on weekends in his restaurant, the “Dragon Inn”. I studied as a private student with Mr. Fok for just under ten years and was encouraged by him to begin teaching in 1986. In 1983 I also started studying World War II Combatives with Harry Snowise, who is my mentor to this day (he called it Jiu Jitsu, since at that time no-one knew what World War Two combatives were or who Harry’s teacher’s teacher W.E. Fairbairn was). I also began studying Swedish massage at that time. In 1985, just before Mr. Fok told me to start teaching his Tai Chi system, I started a correspondence which turned into a friendship with a wonderful Australian Tai Chi master Erle Montaigue. I bought his DVDs and worked off them and eventually had the chance to get hands-on corrections on what I had learnt from him and to be certified by him in his system and I was his first representative for South Africa. In 1993 I further expanded my internal arts repertoire by becoming a student of Dr. Lin, Feng Chao for three and a half years (Tai Chi Chuan, Hsing I Chuan and Ba Gua Zhang). 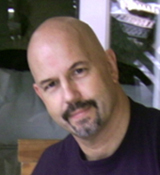 In 1995 I quit my job in sales and spent half a year in Thailand, studying Nuad Phan Bo Rarn (traditional Thai massage), mostly in Chiang Mai with Chongkol Settakorn but also with other teachers, both in northern Thailand and in Bangkok. I was certified not only as a massage therapist but also as a teacher of Thai massage.I also picked up some Muay Thai clinch techniques when I was there. Arriving back in Cape Town I earned my living as a martial arts instructor and massage therapist for a couple of years. Between 1997 and 2002, I taught many seminars internationally (various countries in Europe and also in Israel). Articles by me have appeared in magazines in various countries (Black Belt magazine, USA, Tai Chi magazine, Australia etc). In 2003 my first book (on the art of Jiu Jitsu) was published by New Holland Publishers of London and in 2006 my second book, on Thai Massage, was released by the same publishers. 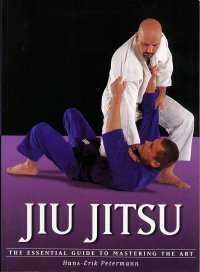 The Jiu Jitsu book was translated into several languages and, in 2006, was also published in the USA. I taught further seminars, on both clinch-work and Piper in Denmark and England at the end of 2006.